The Vikings may go out of house to find a full-in at quarterback, but veteran Jason Campbell won’t be an option for them. Campbell intends to stay retired, as Tom Pelissero of USA Today Sports tweets. Campbell played in Norv Turner’s scheme in 2013 while with the Browns. However, it sounds like the former signal caller is content in retirement. In June 2015, Campbell reportedly decided to call it a career, though he never made his retirement official. Since then, several teams including the Colts and Cowboys have tried – unsuccessfully – to get Campbell to return to football. At this point, it sounds like Campbell may be done with football for good. Over the course of his NFL career, Campbell has appeared in 90 games (79 starts) for Washington, Oakland, Chicago, Cleveland, and Cincinnati. He saw his most extensive action in D.C., where he started 52 contests for Washington after being selected by the club in the first round of the 2005 draft. Most recently, he backed up Andy Dalton with the Bengals in 2014. While Campbell’s 32-47 career record as a starter isn’t overly impressive, his career stats – including a 60.3% completion percentage, an 81.7 passer rating, and 87 touchdowns to 60 interceptions – are respectable. Video footage has surfaced in recent days of Browns quarterback Johnny Manziel partying at a nightclub in Austin, Texas, the latest off-field distraction for a player who vowed to cut down on those stories this season. While Manziel hinted that the video posted of him could be an old one, multiple outlets have indicated it was filmed last week, during the Browns’ bye, as Mary Kay Cabot of Cleveland.com outlines. Speaking today to reporters, including Cabot, head coach Mike Pettine said that the Browns are still in the process of gathering information about the video, but called it “very” disappointing (Twitter links). It was only a week ago that Pettine committed to Manziel as the club’s starting quarterback for the rest of the season, but this situation may make the staff reconsider — Pettine confirmed today that Josh McCown is ready to play if Cleveland decides to start him over Manziel (Twitter link). As Pettine explained, the Browns’ concern and frustration stems from Manziel’s “repeated pattern of behavior” (Twitter links). The head coach wouldn’t say if the organization would ask Manziel to get more help, after he spent 10 weeks in a rehab facility during the offseason (Twitter link). Steelers center Maurkice Pouncey has been on IR-DTR since the start of the season, and it doesn’t sound like he’s quite ready to be activated. The initial timetable for Pouncey, who broke his fibula, suggested he’d be out until at least Week 12, and head coach Mike Tomlin said today that he hasn’t checked on the veteran lineman’s status, adding that it’s not the “11th hour” for that situation quite yet (Twitter link via Aditi Kinkhabwala of the NFL Network). The Ravens are in the market for a backup quarterback, with Matt Schaub set to take over for Joe Flacco. However, there’s nothing going on between the team and veteran free agent Jason Campbell, sources tell Aaron Wilson of the National Football Post (Twitter link). That’s not surprising, since other teams have had no luck wooing Campbell this year. Flacco’s ACL injury adds another layer to the contract re-negotiations that are sure to happen this offseason between the quarterback and the Ravens, writes Jeff Zrebiec of the Baltimore Sun. In Zrebiec’s view though, Flacco will still have the leverage, assuming his recovery is progressing smoothly. Zrebiec also addresses Tyrod Taylor‘s offseason departure, Quinton Coples‘ potential fit – or lack thereof – in Baltimore, and the idea of the Ravens targeting a tackle in next year’s draft. The Colts tried to get Jason Campbell to sign on as Matt Hasselbeck‘s temporary backup, but the veteran quarterback declined. In an interview with ESPN 980, Campbell explained that he’s busy pursuing other opportunities and spending time with his family. During an appearance on Mad Dog Sports Radio, longtime Indianapolis journalist Bob Kravitz expressed his belief that Nick Saban may be a top target for Colts owner Jim Irsay if the team decides to move on from Chuck Pagano in the coming months. Michael David Smith of Pro Football Talk has the details, along with the quotes from Kravitz. The Panthers were panned by many for not taking a left tackle in the draft and instead signing Michael Oher in free agency. As David Newton of ESPN.com writes, even though Oher hasn’t been a world beater this season, he has done a solid job of doing what he was signed to do — protecting Cam Newton. Recently, coach Ron Rivera commented that Oher has brought stability to a position that has been in flux since Jordan Gross retired after the 2013 season. In Sunday’s win over Green Bay, Oher didn’t allow a pressure or a sack and got a positive grade of 2.0 for pass protection from Pro Football Focus. 2:22pm: Even with the Colts pushing to get Campbell to unretire, the veteran quarterback is “highly unlikely” to return to action this season, says Adam Schefter of ESPN.com, adding that Campbell could still make a comeback next year. 1:39pm: With Andrew Luck sidelined for the next few weeks, the Colts are considering their options for adding a quarterback to back up Matt Hasselbeck. According to Pro Football Talk (via Twitter), the Colts’ search for a backup has the team attempting to lure free agent signal-caller Jason Campbell into unretiring. As the PFT report notes, Campbell played for the Browns the year that new Colts offensive coordinator Rob Chudzinski was the team’s head coach. Campbell, who turns 34 next month, was said to be planning on retirement back in June, but he never made the decision official. The veteran QB reportedly received inquiries from at least three teams in the summer, and got a call from the Cowboys when Tony Romo went down. While Campbell’s 32-47 career record as a starter isn’t overly impressive, his career stats – including a 60.3% completion percentage, an 81.7 passer rating, and 87 touchdowns to 60 interceptions – are respectable. For a Colts team vying to make the playoffs, he’d likely be a more reliable insurance policy than someone like practice squad quarterback Alex Tanney. 8:30pm: In addition to Johnson, the Cowboys will also audition Christian Ponder, sources tell Charean Williams of the Star-Telegram (on Twitter). Matt Flynn will also audition on Tuesday, per Josina Anderson of ESPN.com (on Twitter). Meanwhile, Kyle Orton is not a real possibility for the Cowboys thanks to his fractured relationship with the club and his own bad personal relationship with Romo, Ed Werder of ESPN.com tweets. 5:05pm: The Cowboys have reached out to a few veteran quarterbacks, according to CBSSports.com’s Jason La Canfora (on Twitter). Dallas called reps for both Jason Campbell and Josh Johnson, among others, per La Canfora. Johnson will work out for Dallas, but Campbell will remain in his state of quasi-retirement for now. While Dallas scopes out the market for signal callers, La Canfora (link) hears that the Saints do not plan to do the same at this time. Of course, that could change with starter Drew Brees potentially out for several games. In related news, coach Jason Garrett says they’ll consider putting Tony Romo on IR-DTR as the week goes on, James Palmer of NFL.com tweets. Nothing is decided on that front yet, however, and the upside right now is that Romo’s tests revealed zero ligament damage. Romo fractured his clavicle on Sunday, the same injury that caused him to miss the final 10 games of the season in 2010. Back in June, we heard that quarterback Jason Campbell was planning to retire from the NFL. However, Campbell hasn’t yet made the decision official, and according to Peter Schrager of FOX Sports (Twitter link), at least three teams have inquired on the veteran free agent. As Joel Corry of CBSSports.com points out (via Twitter), pseudo-retirement ended up benefiting Kyle Orton a year ago, so it’s possible a desperate team will make it worth Campbell’s while to continue his playing career. Field Yates of ESPN.com has the breakdown of Evan Mathis‘ one-year deal with the Broncos, tweeting that the pact features $750K in per-game roster bonuses and up to $750K in playing-time incentives. Mathis can start earning those incentives if he plays 55% of Denver’s offensive snaps, and would max out if he plays at least 85%. Falcons president Rich McKay, who was disciplined by the NFL as part of the team’s penalty for pumping in fake crowd noise to their stadium, has been reinstated to the league’s competition committee, tweets D. Orlando Ledbetter of the Atlanta Journal-Constitution. The decision becomes effective immediately. Colts coaches seem to be doing their best to create competition at the nose tackle spot, which defensive coordinator Greg Manusky acknowledges is one of the most important positions on the team’s defense. Stephen Holder of the Indianapolis Star has the details. 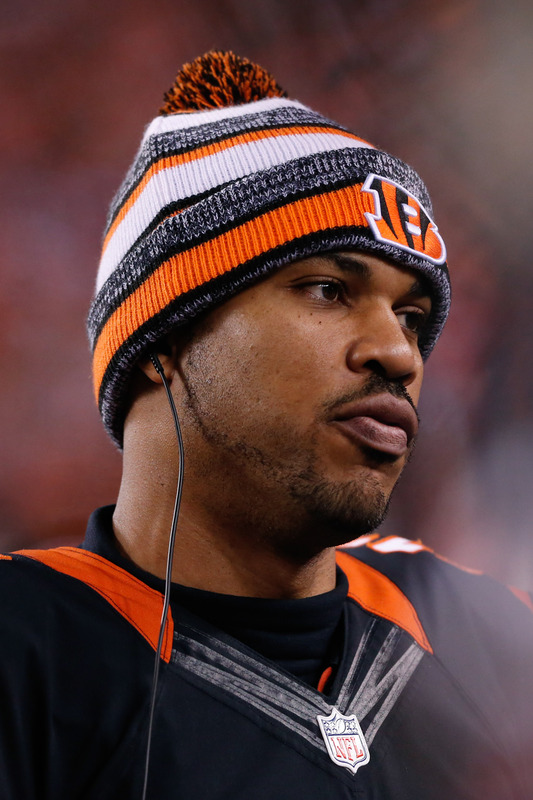 Veteran quarterback Jason Campbell is set to retire from the NFL, reports Ian Rapoport of NFL.com (via Twitter). According to Rapoport, Campbell has yet to officially make his decision, but with training camps approaching, retirement is the current plan for the 10-year veteran. Rapoport’s report echoes what we heard back in April, when Campbell remained on the market following the first month of free agency. At the time, Mike Florio of Pro Football Talk suggested that Campbell had turned down multiple opportunities to sign contracts, including possible offers from the Ravens and Bengals. Veteran quarterback Jason Campbell is reportedly leaning towards retirement, reports Mike Florio of ProFootballTalk.com. According to the writer, the 33-year-old has rejected “multiple opportunities to sign a contract” for next season, including apparent offers from the Ravens and Bengals. The former first-round pick spent the first four seasons of his career with Washington, tossing 55 touchdowns to only 38 interceptions. The team’s acquisition of Donovan McNabb made Campbell expendable, and he was shipped to the Raiders prior to the 2010 season. Since then, the veteran has bounced around to the Bears, Browns and Bengals. Serving as Andy Dalton‘s backup last season, Campbell completed 11 of 19 pass attempts for 74 yards. His last starting gig came in Cleveland in 2013, when he threw for 2,015 yards, 11 touchdowns and eight interceptions in nine games. Throughout his ten-year career, Campbell had thrown for 16,771 yards, 87 touchdowns and 60 interceptions. When asked about the opportunity for the Jets to add a veteran quarterback, Rich Cimini said he’d eagerly swap the sixth pick for Chargers‘ star Philip Rivers. Meanwhile, Cimini believes there’s a good chance the Jets will select a running back in the draft. With Bilal Powell, Chris Ivory and Daryl Richardson under contract, the writer says the team could use a versatile, pass-catching back. Jamison Hensley predicts the Ravens will either select a wide receiver, tight end, cornerback or pass rusher with their first-round pick. Hensley says the Ravens could look to bring in a veteran tight end. When asked about former Seahawks weapon Zach Miller, the writer says the organization should be wary of the injury risk. For an “under-the-radar” pick, Hensley points to Cardinals tight end Rob Housler. Quarterback Jason Campbell and running back Cedric Peerman are “the most likely” of the Bengals free agents to return, according to Coley Harvey. If the Jaguars don’t select a pass rusher with their first-round pick, Michael DiRocco could envision the team selecting a wide receiver. Looking towards veteran help at the position, DiRocco suggests Greg Jennings as an option.